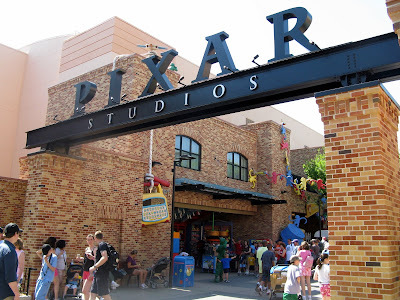 I have to say Pixar Place. This was a very hard decision and i think the reason i picked this area is cause it not only houses one of my favorite rides in all of WDW, but i think because of the potential for the area. I mean monsters inc coaster incredibles things and much much more. O today i went to the disney presentation on my campus it was really cool got to meet all the campus reps and the recruiter now i know some of you might be thinking why would he go if he already has been accepted. I understand your point but i think be this small it is a good networking tool to START your DCP. On a side note got pokemon Black yesterday already have 2 badges and a pokedex of 21 nice haha.